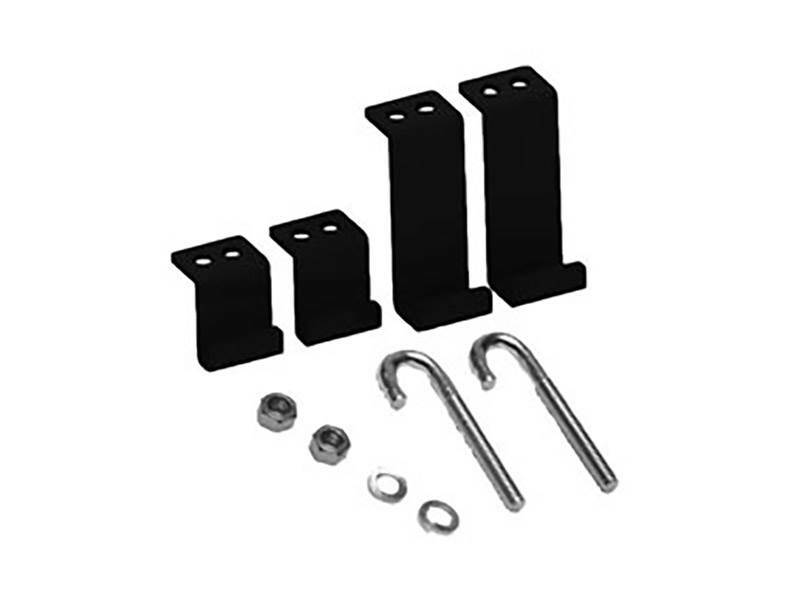 ICC Runway Kit, 4-Post, Relay Rack Brackets comes with two sizes brackets, J-bolts and mounting hardware is designed to secure 5 ft. and 10 ft. straight ladder sections. The straight ladder sections are mountable perpendicular or parallel over 4-Post Distribution Rack. They are sold as a kit and available as optional mounting solution when mounting straight section ladder racks over our 4-post rack.